Charleston the Bloomsbury House of Art & Ideas at Charleston House01323 811626work Historic HouseThe Bloomsbury group included some of the twentieth century’s most pioneering artists, writers and thinkers – people who believed in debate, creativity, beauty, innovation and truth and whose work was guided by a sense of fun, freedom and irreverence. At Charleston we aim to further the Bloomsbury group’s experimentalism, internationalism and anti-establishment approach, their new ideals for living and belief that the arts and freedom of expression are fundamental. A visit to Charleston is a liberating experience. 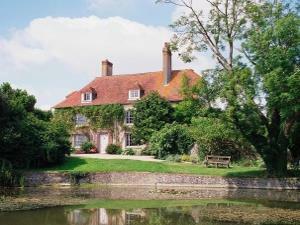 The presence of Charleston’s Bloomsbury group occupants is still palpable today, as is their art, and the ideas that, from the rural tranquillity of the South Downs, helped to shape our society. The decorated interiors and artists’ garden are more than a museum. Charleston’s entire cultural programme remains true to its origins whilst encouraging contemporary creativity. The Bloomsbury group included some of the twentieth century’s most pioneering artists, writers and thinkers – people who believed in debate, creativity, beauty, innovation and truth and whose work was guided by a sense of fun, freedom and irreverence. At Charleston we aim to further the Bloomsbury group’s experimentalism, internationalism and anti-establishment approach, their new ideals for living and belief that the arts and freedom of expression are fundamental. The Garden and Charleston Shop are open one hour before the House and close at the same time as the House. The Café is open 11am – 5pm, serving light lunches from 12pm – 3pm and teas, coffees and cakes throughout the day.